Christine was born and raised in Vancouver, Canada. She is a graduate of the University of Pennsylvania with a B.A. in English and Communications, and a graduate of Teachers College at Columbia University with an M.A. in Family and Community Education. 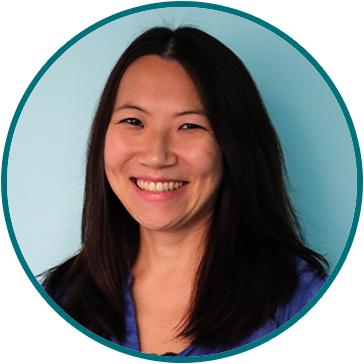 She has worked with literacy and writing programs in Philadelphia, New York, Chicago and Hong Kong, and has also taught as a Native-speaking English Teacher (NET) in Hong Kong. Elephant Community Press combines Christine’s love of literature, writing and the arts with her passion for teaching. By publishing work written by and for Hong Kong youth, she hopes to inspire more young people to read, write and share their ideas. What do you like most about working with ECP? If you could spend a day in a fictional world, where would you go? I would love to spend a day (or more!) wandering and exploring in the Hundred Acre Wood, playing Poohsticks over a stream, going on bouncy adventures with Tigger and Roo, having a picnic with Pooh, Piglet and all their friends, and even “just sitting” with Eeyore.